All of these kids falling off chairlift deals can be prevented… JUST PUT THE BAR DOWN if you’re ridding with kids! So true. It was a state law in most New England states for a long time, I’m not sure if it still is. The bar is there for a reason. Use it. I believe Vermont is the only state that requires you by law to use the bar. Not mandatory here in NH (where I live), though I always use it. Think it used to be required, but not anymore. Vermont it’s a state law you have to put the bar down. Same in Connecticut. I believe the other eastern states require that lifts have them, but don’t require that passengers use them. Regardless the law in Vermont is rarely enforced. Note the sign on the tower. It is still mandatory in VT (but as Allertorsiren05 said it’s poorly enforced), and I think mountains in Maine have to have a sign on every lift saying “Lower Restraining Bar”, but I’m not sure if the rider is legally obligated to do so. 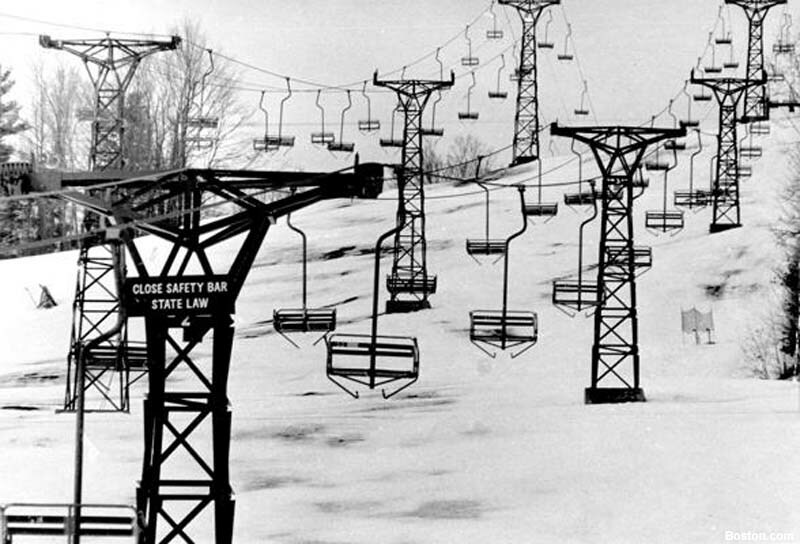 I’m not sure about MA, Rhode Island has two chairlifts so they probably don’t worry about that too much, and as Collin said riders are legally obligated to use the bar in CT.
People always put the bar Up too early, at the last tower often the highest point on the lift. Open in the Terminal! I’m surprised by the Agassiz replacement, both because this’ll be Arizona Snowbowl’s fourth lift in four years, and because it seems mostly redundant with Grand Canyon Express. Does anyone know if they have any terrain expansions planned, like a summit lift? I am starting to worry that Alterra will not do anything this summer. Any rumors out there? Could be a sign that each resort is doing its own announcing. Which makes sense, as they were describing Alterra as being a lot more decentralized than Vail. They mentioned keeping a lot of the admin in place, and talked about keeping the ‘feel’ of each resort form being snuffed out by corporate. Then again, seeing as Rusty Gregory’s CEO, I wouldn’t be surprised if we see a general policy of austerity. Of all the Alterra resorts, Winter Park seems most in need of some love. Still rocking the 1966 Riblet, 1986 Pioneer detachable which broke down last time I was on it, 1990 Zephyr which needs to be bigger anyways and 1991 High Lonesome. WP could build a new detachable every year for the next five and still not be caught up to its peers. Hopefully they have a Copper-like announcement in the works. Act 250 permit for Stratton Snowbowl replacement: “removal of the existing Snow Bowl Ski Lift and replacing it with a new lift. The New Lift will have slightly different locations for the top and bottom terminals and new footings for each towers. The project will require earthwork for terminals and tree removal in some areas of the trail and surrounding the terminals.” Based on the fee paid, construction cost is anticipated to be between $7 and 8 million. sounds like it will be a big lift! My guess is LPOA 6-CLD, but they could also go with Doppelmayr. They have very little brand loyalty. Possibly a bubble, but most likely not. Remember the 7-8mil includes taking down the old lift and doing any necessary grading and tree clearing work, not just the amount that goes to the manufacturer. Beech Mountain replacing their HS quad???? Replacement is confirmed on Skilifts.org. The question now is replacement with what? Fabulous news for the future of those resorts and Boyne. Should simplify things when improvements are needed. Do you foresee buying out solitude and merging it with Brighton?